Diaphragm seals are used for the protection of pressure measuring instruments in applications with difficult media. In diaphragm seal systems, the diaphragm of the diaphragm seal effects the separation of the instrument and the medium. The pressure is transmitted to the measuring instrument via the system fill fluid which is inside the diaphragm seal system. For the implementation of demanding customer applications, there are a wide variety of designs, materials and system fill fluids available. For further technical information on diaphragm seals and diaphragm seal systems see IN 00.06 "Application, operating principle, designs". 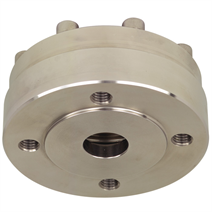 The model 990.41 diaphragm seal is ideally suited for applications with small process connections. 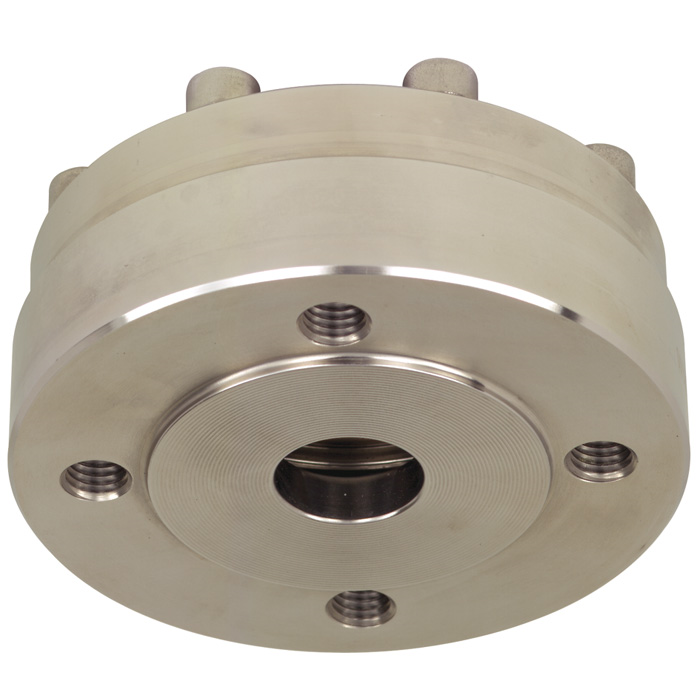 Due to its design, with an internal diaphragm, accurate measurements are possible even with small flange connections. By means of optionally available flushing connections, the process side of the flange can be cleaned and flushed as required. Assembly of the diaphragm seal to the measuring instrument may be made via a direct connection, for high temperatures via a cooling element or via a flexible capillary. For the material selection WIKA offers a variety of solutions, in which the upper body of the diaphragm seal and the wetted parts can be made of identical or different materials. The wetted parts can, as an alternative, be coated. With which instruments can a diaphragm seal be combined? How are the diaphragm seals connected? What influence does the diameter of the diaphragm have on the display?